← Do we need a school for brides? 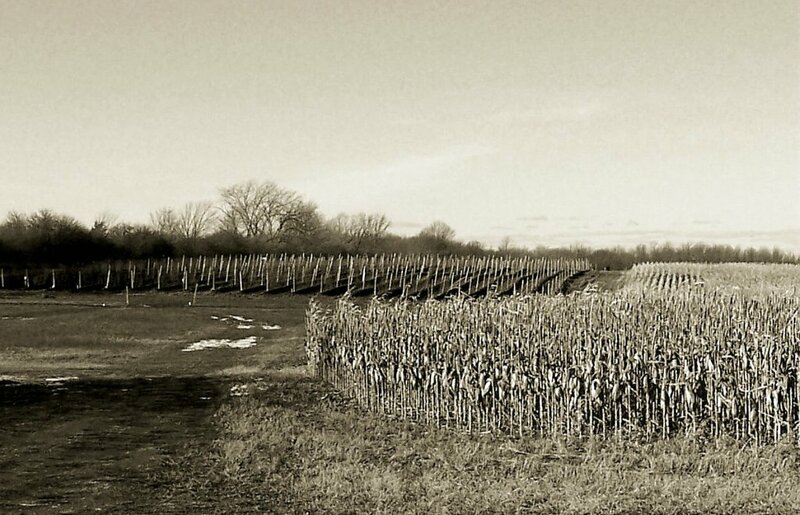 Cornfield (foreground) and vineyard (background); Lacey Estates Vineyard & Winery; Hillier, Ontario. Not exactly, as Novaseeker is Eastern Orthodox. But Eastern Orthodox share a similar way of thinking about things, in many regards, as our Roman Catholic friends do, because their respective traditions have much (though not everything) in common. I’m not interested in joining that discussion. I can see why Novaseeker thinks as he does, but I don’t myself believe in ‘the goodness of what is already in the world’, and while I could object on that basis, I see no reason to get involved. And that’s all I have to say on that subject, in this thread. As regards this poem, I’ve always been intrigued with the fact Kipling subtitled it ‘Canadian’, and have wondered why; I’ve never found an answer for that, in trying to do simple internet searches. It could have something to do with Canada’s ‘two solitudes’, but I’m not sure about that. I memorized these verses years ago. I don’t know for sure what the “Canadian” subtitle refers to. The poem was first published in 1908, one of the periodicals carrying it being “Vancouver World”. Kipling had visited Vancouver in 1889, 1892 and again in 1907, just before the publication of the poem. I had assumed, therefore, that the subtitle simply indicated that he had written it in Canada. Oh! That makes sense. Thanks Gerry! Man winter comes early in Canada. Has anyone been eaten by a polar bear yet? Or is that only early October that that starts?